Being the cafe sua da lovers that we are, cans of condensed milk are never hard to find in our pantry. In fact, we fill a squirt bottle with condensed milk for quick and easy access each morning to sweeten our Vietnamese iced coffees. But little did we know that by simply boiling an unopened can results in a golden caramelized dulce de leche, a sauce that’s infinitely versatile for all types of desserts. Dulce de leche, literally “candy made of milk,” is thought to originate in Latin America and has made it’s way into mainstream American products such as Häagen-Dazs ice cream, Starbucks coffees, and even Girl Scout cookies! 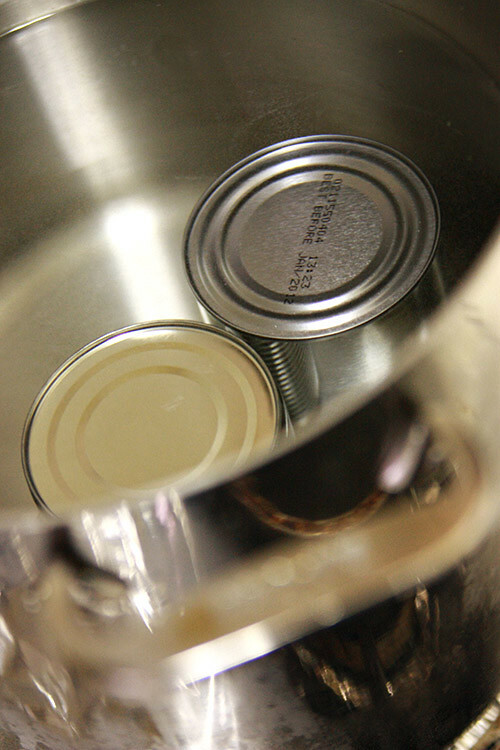 Boiling the unopened cans for about 2-3 hrs evaporates the water content and caramelizes the sugars. The key is to keep it submerged at all times so we made sure to use are large stock pot with plenty of water. Alternatively you can also use a pressure cooker to cut the time down to 30-45 minutes. Although time intensive, it couldn’t have been any easier! The result is a shiny, smooth, and addicting confection. We’ve never had the opportunity to try, but dulce de leche from Latin America, particularly La Salamandre brand is supposed to be the best, but it’s also quite expensive. If you’re not up for boiling cans, Nestle and Eagle brands also makes it’s own brand at a much more affordable price. 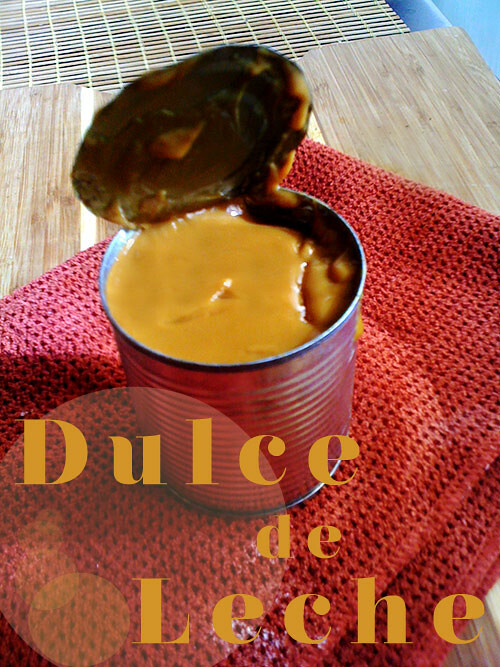 So how did we use our boiled can of dulce de leche? 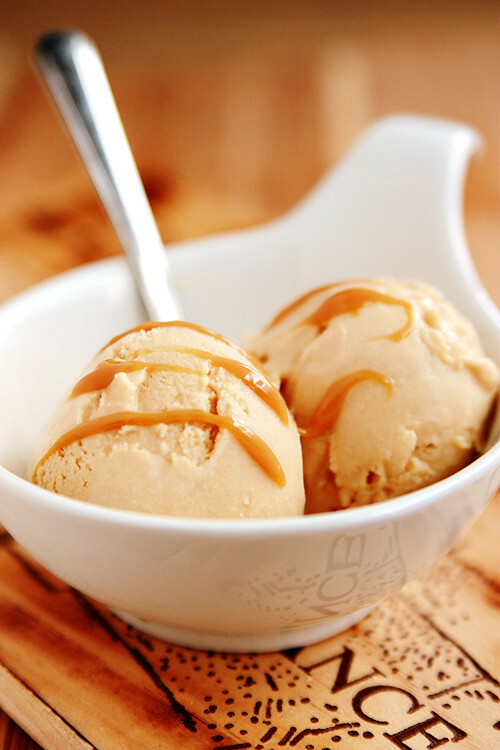 We wanted to maximize our efforts and make the most decadent dessert we could think of: making dulce de leche ice cream and using it as a topping. Bring milk and cream just to a boil in a heavy saucepan over moderate heat, then remove from heat and whisk in dulce de leche until dissolved. Whisk in vanilla and transfer to a metal bowl. Quick-chill by putting bowl in a larger bowl of ice and cold water and stirring occasionally until cold, 15 to 20 minutes. Freeze mixture in ice cream maker until almost firm. Oh boy is this is decadent dessert! 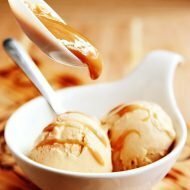 I love how simple this technique is to create dulce de leche. I'm imagining dipping a spoon into the caramel filled tin, and indulging in a sinful bite. 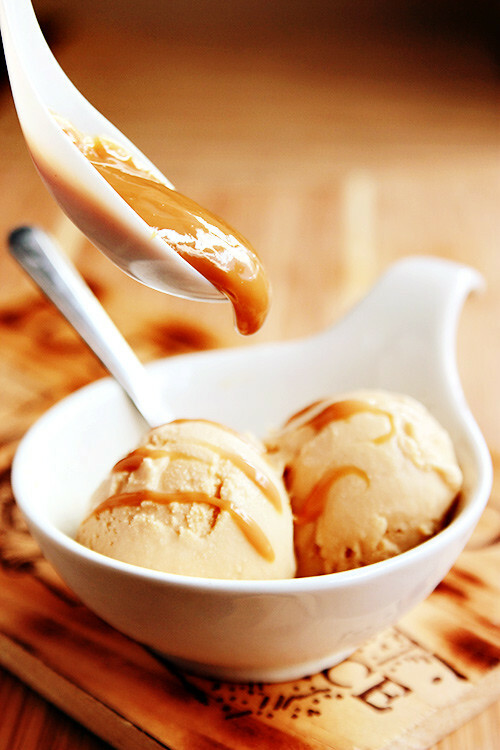 What a wonderful way to use dulce de leche. I lived in Buenos Aires for a year and a half and Dulce de Leche was in everything. My favorite was on top of panqueques — very thin pancakes with a crispy edge. They were sort of like thick crêpes with hot dulce de leche on top. I couldn't find a cake without a layer of the stuff in between. It became a bit over the top and I got sick of it, but once I repatriated I started to miss it and made it myself, but I'm just not up to putting a sealed tin can in a pot of water, but I'll admit, stirring milk and sugar for hours is an arduous task. The result is so satisfying though, although it always turns out darker than what you see in a jar or a can. If you want to blow your mind, fill wonton wrappers with dulce de leche and chopped nuts or coconut and fry it up. O M G! It's dangerously good. Yours looks beautiful and I'll bet it was an amazing treat. @Fran: Thanks for the tip, we might just try that! I've always wanted to try boiling a can! You are really tempting me to finally do it!! By the way, what a blog! I'm excited to start following along in your kitchen! Goodness! What a coincidence! I just made Dulce de Leche using a crock pot last night! I learned to make dulce de leche from a Chilean friend years ago. I had one eyebrow raised the whole time–until I tasted the end product. I was actually looking for a recipe for caramel beurre sale ice cream, but this will more than do! Thank you for sharing, it will go in my lineup of things to make for when it gets summer-like around here…We are still in the beginnings of Spring! I use it in a desert. In another bowl beat 500ml cream until thick, add caramel and mix well. Pour over the cookie base & chill in fridge. I sprinkled caramel chocolate chips on top. That is spectacular looking ice cream! Let us know how that Vietnamese Ice Coffee with Dulce De Leche turns out. 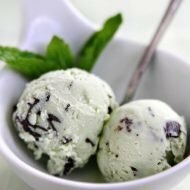 LOVE your ice cream recipes! I received an ice cream maker from my brother for christmas and I haven't visited the ice cream parlors since. Wow, what a sinfully decadent dessert! I have a serious weakness for condensed milk and eat it straight from the can, which also explains my love for dulce de leche. You guys have a lovely blog, so many beautiful photos and recipes! I have to make this! I like that you not only topped it with the dulce de leche, but put it in the ice cream. I just made a batch of dulce de leche, but was afraid of the exploding-can risk I'd heard about. Apparently you can also bake it covered in a water bath with the same result. It was great. Looks great. I've seen that you can make the dulce de leche in a crock pot too. I must try soon — it's such an easy way to turn condense milk into something even more yummy! I made this once with the pressure cooker. Loved it! I can eat this with anything! @ann: yes, we linked your pressure cooker method in the post! Talking about the racing heat in Spring, this is just in time! Drool* This looks so amazing. Perfect for the sudden bout of warm weather. Great looks pics and the ice cream tasted even better! I read this recipe a week ago and couldn’t wait to make it. Well yesterday I did and it was amazing! Must be among the best ice cream i’ve ever tasted, and so easy to make, I did it without an ice cream maker, and the process is fun fun fun, as much joyful as the process of eating it right after this. Thank you so much, dulce de leche is the discovery of the YEAR! we’re so glad it worked out for you and thanks for sharing with us! You can also make the DDL in the slowcooker!